German police arrest two Chinese tourists for making "Heil Hitler" salutes outside historic Reichstag building. German police on Saturday arrested two Chinese tourists for making illegal "Heil Hitler" salutes in front of the historic Reichstag building, Reuters reported. Berlin police officers said they detained the two men, aged 36 and 49, after they were seen striking the Nazi-era pose and photographing each other with their mobile phones. 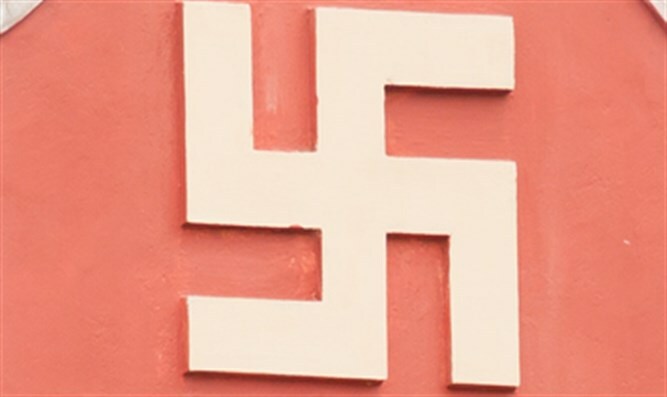 They face charges for "using symbols of illegal organizations", police said in a statement quoted by Reuters. They were released after posting bail of 500 euros each. Germany has strict laws on hate speech and symbols linked to Hitler and the Nazis. Recently, the German Parliament passed a law designed to curb hate speech and libel on social networks. The law requires Internet platforms like Facebook, Twitter and YouTube to remove material with obviously illegal content and fake defamatory “news” within 24 hours of its having been reported. Previously, illegal material was reported but did not have to be removed. The new law places the onus on the social media platforms to remove the material or be subjected to heavy fines, reportedly of up to about $56 million. The law was passed after a study had shown that major social media platforms were slow to react to reported illegal content, including slander and incitement to hate, as well as Holocaust denial and glorification of National Socialism.